With that being said, I wanted our communion table to be particularly special. 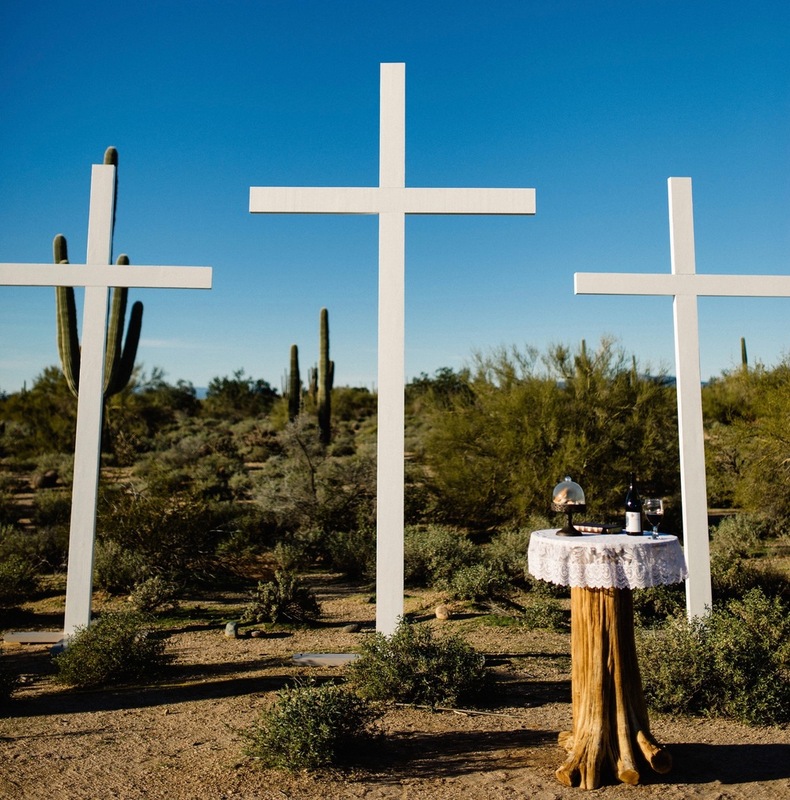 The overall feel of the wedding was somewhat of an outdoor chapel, combining the elegant beauty of a church chapel with the rugged beauty of the desert. I wanted the table to be aesthetically simple, yet complex in natural beauty... A simple yet complex table, just like the ceremony that was to take place on it. The result was this beautiful reclaimed Saguaro cactus skeleton dressed in lace. It served its purpose perfectly on our big day and to this day remains in our home to constantly remind us of the importance of Jesus' sacrifice for us all.